I’d be lying if I told you I gave two hoots about Halloween, but I’m always happy to cash in on the cheap pumpkins I see each year. Did you know that the medium sized ones are on offer for 69p in Aldi at the minute? Or most places are about a pound and weigh around 2kg. So if you can grab a cheap eat, or maybe in the Halloween sales (I aint’ judging). 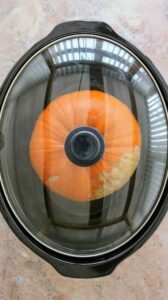 So recently, I showed my favourite way to cook a pumpkin these days (or butternut squashes) and that method is in my slow cooker. 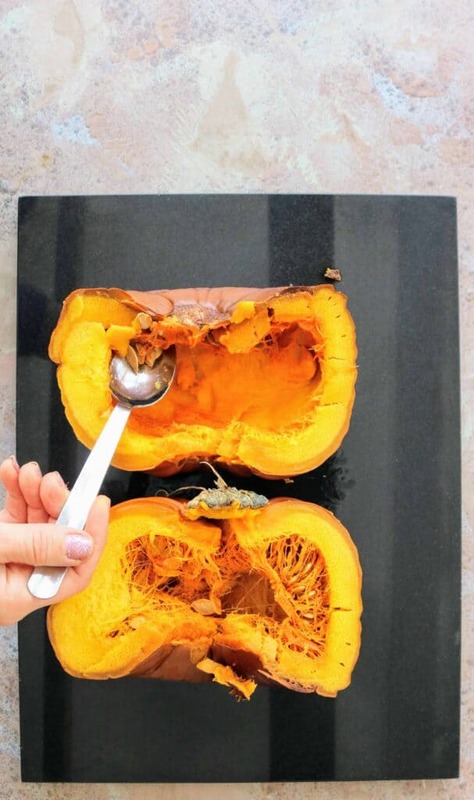 Typically, for a richer, sweeter taste, it is better to roast one as I did in my adapted Syn Free Roast Pumpkin soup a couple of years ago. But it comes with a bit of effort chopping and scooping. Yet if you dust down a slow cooker, it’ll do all the work for you. No elbow grease needed whatsoever. 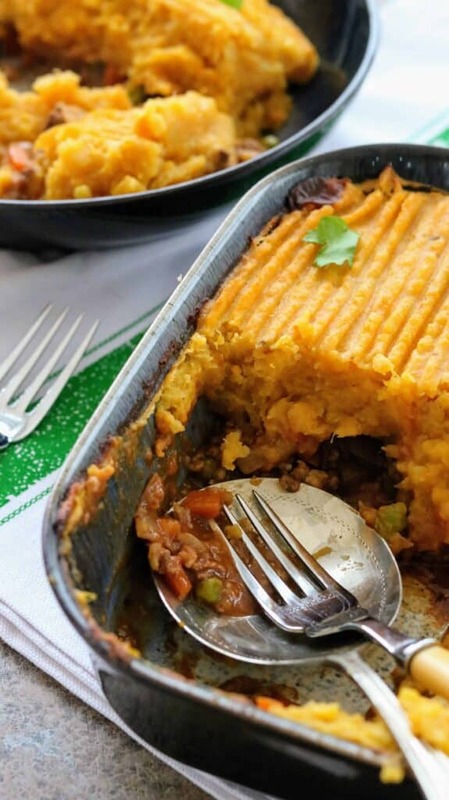 It gets a thumbs up from me for the perfect lazy weekend or darker day meal, don’t you think? 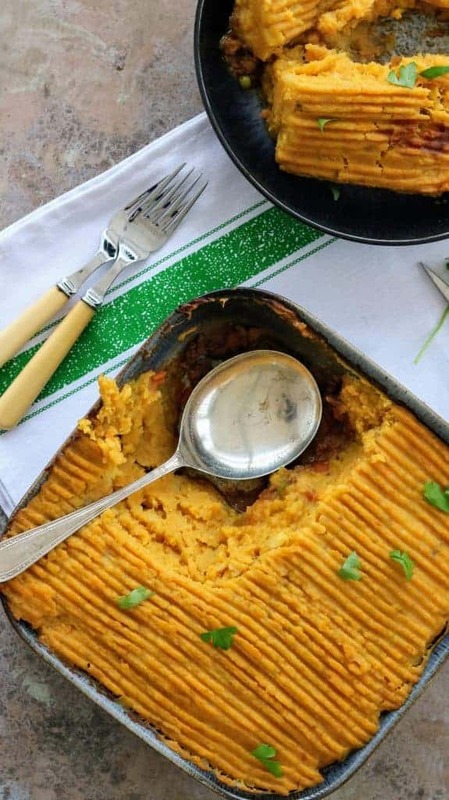 Speaking of winter warmers, I’ve had a pumpkin shepherd’s pie on my to do list ever since the weather started to change. I had a few must haves it needed for me to be satisfied. They were the pumpkin of course. The lamb (which by the way, does ANYONE even sell 5% fat lamb mince?!) And spices to warm me through. There was no arguing with myself and I think it tastes beautifully warming without being too overpowering. Do you get excited over Halloween? Or am I the only ba-humbug around here? I won’t say no to Halloween food though! CAN’T MAKE IT NOW? THEN HERE’S A PIN TO SAVE FOR LATER! 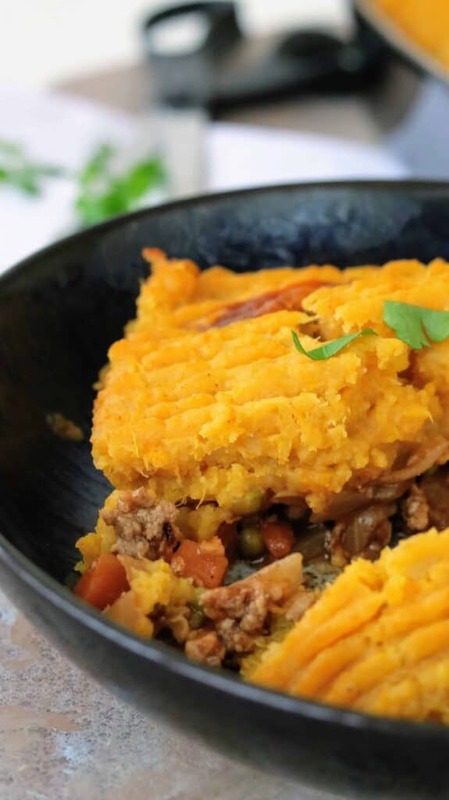 A warming autumn healthy family meal of lamb shepherd's pie with a pumpkin and potato topping. 600 g Diced lamb All fat and skin removed and blitzed in a food processor. 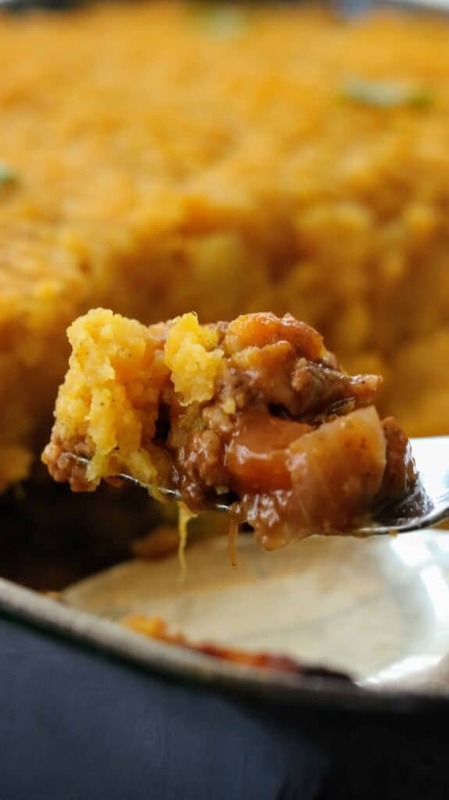 Using a slow cooker, place your whole pumpkin in, then cover with the lid and cook on low for 6-7 hours. *Note, if you don't have a slow cooker, you could chop up and microwave. Once finished in the slow cooker, cut in half and discard all of the seeds but scoop the flesh in to a large bowl to mash later. *Pour any liquid that separates as you don't want it too wet. Preheat your oven on 200 degrees, meanwhile, boil the potatoes until tender, then drain and add to the pumpkin to mash later. Then using a deep based pan, spray with frylight and saute the onions and carrots until softened. Now add the peas and fry for a further 2-3 minutes. Add the lamb, seasoning and half the all spice and fry until browned. 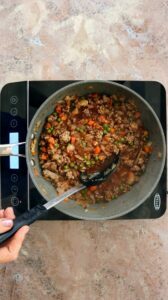 Stir in the puree, stock, red wine stock pot and oats and simmer until slightly thickened and transfer to a large baking dish. 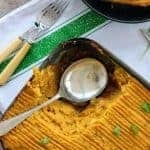 Now mash the pumpkin and potato and mix in the egg and remaining all spice and evenly smooth on top of the meat mixture. *Feel free to create a fork texture for extra crisp. Bake in the middle of the oven for 45 minutes or until golden. Did you love it too? If so, don't forget to tag me on Instagram @TastefullyVikkie so I know you made it!